It has been a very busy and fun term at Littleport Community Primary School. 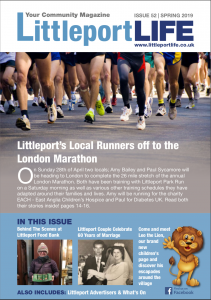 So much has been happening that I have asked members of staff to help with our contribution to the latest edition of Littleport Life. One of the high points this year, was the news that Brooke Smith in Year 4 had won an Art Competition organised by East Cambs District Council to design a character to promote recycling called ‘Michael Recycle’….